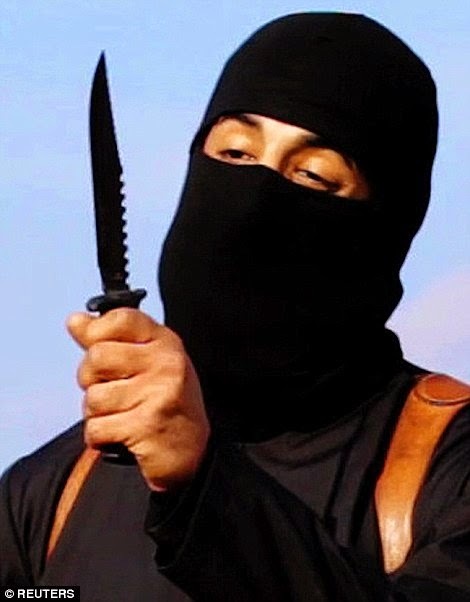 The first picture of British ISIS executioner Jihadi John's face as an adult has been published from his time as a model student at the University of Westminster where he studied Information Systems with Business Management from 2006 to 2009. The world's most wanted man was named yesterday as Mohammed Emwazi, a British 'known wolf' who grew up in west London and fled to Syria under the nose of MI5 in 2012. 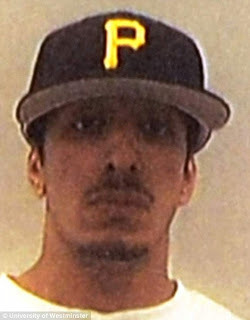 Wearing a Pittsburgh Pirates baseball cap and sporting a goatee beard, the photograph shows eyes which clearly belong to the Islamic State's executioner-in-chief.